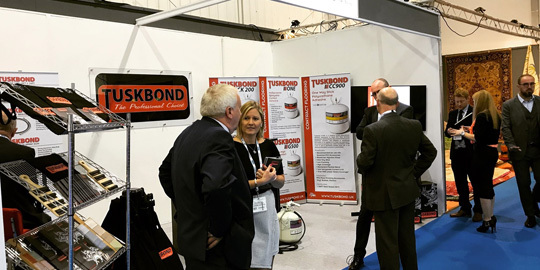 Tuskbond are proud to confirm, following previous success, for a third consecutive year we are returning to The Harrogate Flooring Show, September 16th-18th 2018. We welcome you to come along and meet the Tuskbond Team on stand M12, to find out more about our full range of contract flooring products. The stand will boast a range of knowledgeable staff who will be on hand to discuss our products and services, alongside promotional giveaways. For more information contact the team on info@tuskbond.co.uk.